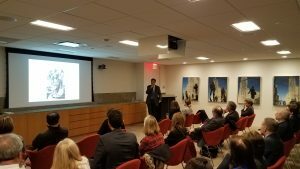 Harvard Business School and Law School professor, Mihir Desai, led a lively book discussion regarding the financial markets. The Foundation is so appreciative of Mihir Desai for his informative and entertaining discussion regarding his book, The Wisdom Of Finance: Discovering Humanity in the . . . 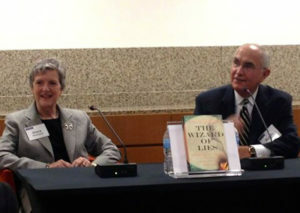 The Foundation extends a huge thank you to Diane B. Henriques and Andrew “Buddy” Donouhe for leading a fascinating discussion last night about Henriques’s book, the Wizard of Lies, which tells the true story behind Bernie Madoff’s lies. The evening featured a cocktail party and lively discussion. We . . .